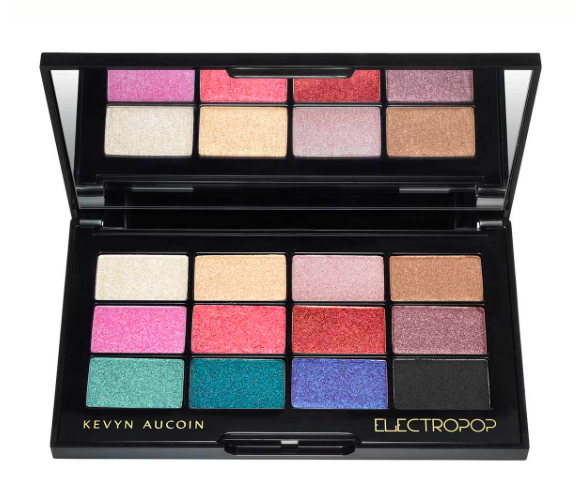 The newest Kevin Aucoin Palette, Electropop, is here – and it is stunning! Just in time for Summer. This palette is as beautiful as it is versatile. With 12 shades ranging from neutral mattes to metallic electro chrome, you can use these shadows to take you from day to night. Using your fingertips, these shadows apply easily with just one swipe. Layer over Urban Decay for a long-lasting, never creasing look. We found the colors to be mesmerizing. This palette that works for all ages, and all skin tones. The looks are endless. Unfortunately, this is a limited palette, available for a limited time. Schedule an appointment today for a fresh new summer look, or come by the Studio see how extraordinary this new palette is.